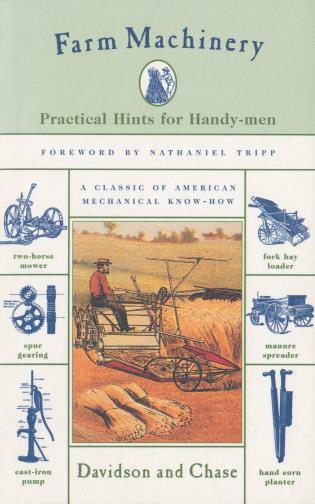 This comprehensive and classic text, originally published in the early 1900s to assist farmers and farm mechanics instructors, was the first book to deal exclusively with the operation, care, and repair of farm machines. 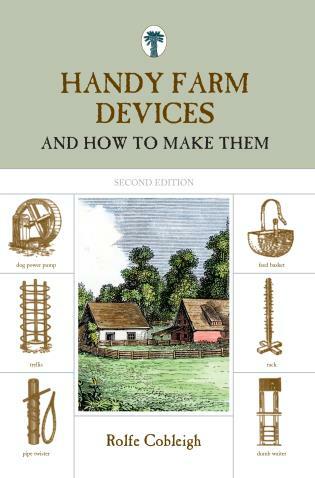 Divided into six distinctive sections ranging from the preparation of the seed bed to harvesting, The Operation, Care, and Repair of Farm Machinery provides detailed information and instructions on how to use and care for dozens of different machines, including plows, harrows, tillers, spreaders, cultivators, sowers, diggers, harvesters, pickers, presses, mowers, binders, planters, pulverizers, loaders, drills, listers, and rotary hoes. 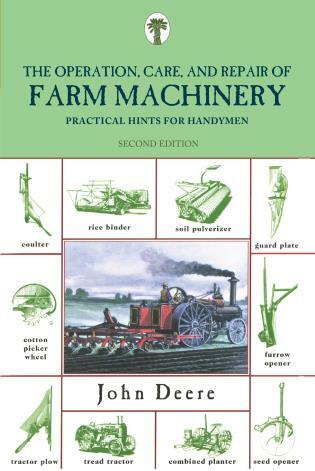 John Deere (1804–1886) was an American blacksmith and manufacturer who founded Deere & Company, the largest agricultural and construction equipment manufacturers in the world.